This one flew off the shelves. But you haven't missed out, it's coming back! Notify me when in stock Need help? Need help finding a similar product? Call our experts on 0330 0583 313. Pop your details in the box below and we'll be in touch as soon as it's back in stock. There has been an error. Please try again later. Thank you! We'll be in touch. We'll let you know when it's back in stock. 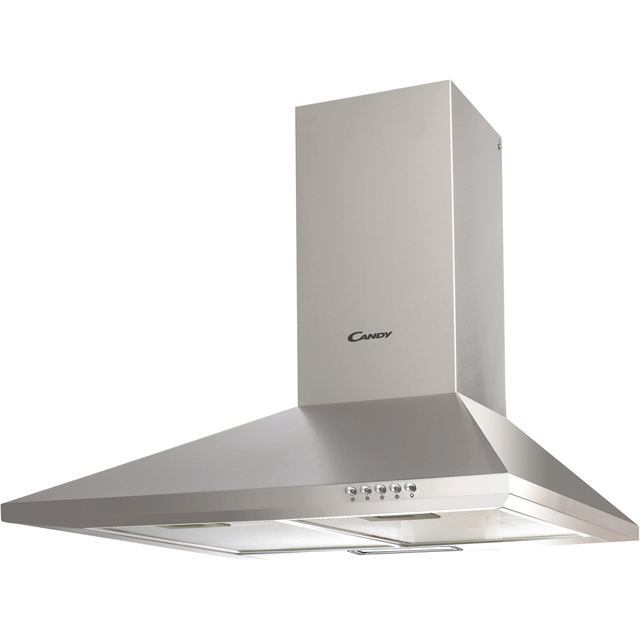 Enjoy an odour-free kitchen with this stainless steel chimney cooker hood from Candy. It’s 60cm wide, which makes it ideal for use above a standard-sized hob, and with a maximum extraction rate of 305 cubic metres per hour it’ll easily clear the air in any small kitchen. So even if you’re cooking an aromatic curry or – heaven forbid – you burn the dinner, the smells won’t linger in your home. It has a medium noise level of 62dB, similar to a family chat over a meal. And, it has easy-to-use push button controls, which make it simple to adjust the settings or turn on the LED light to get a better view of what you’re cooking.